Features and advantages: 1. 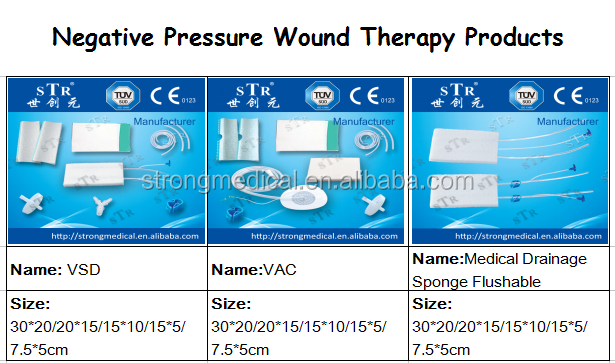 Medical dressing film is comfortable for people . 2. Reduce tissue oedema and hypoxia state; Back to normal tissue fluid balance. 3. 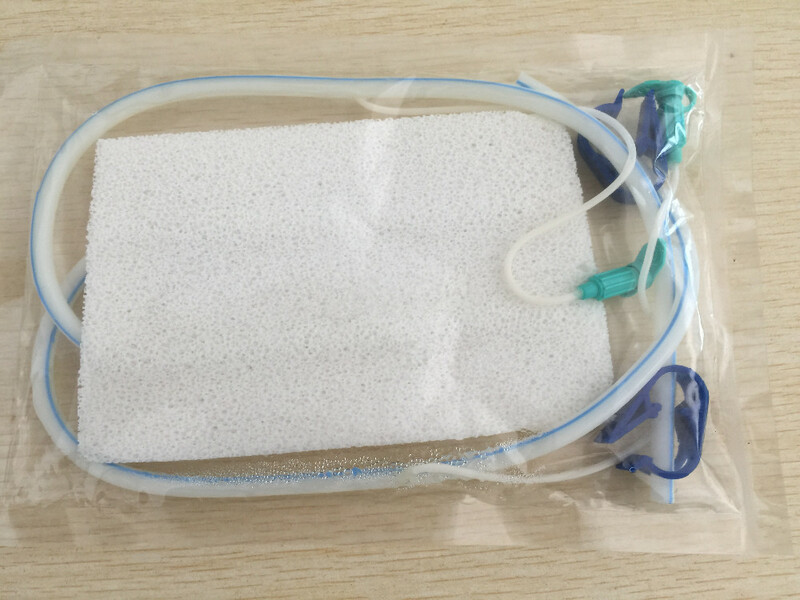 Promote cell membrane expansion and wound lymphatic backflow; Stimulate the blood vessels growth in and healthy granulation tissue formation. 4. Local vacuum goes against bacteria survival; Control faster local infection. 5. 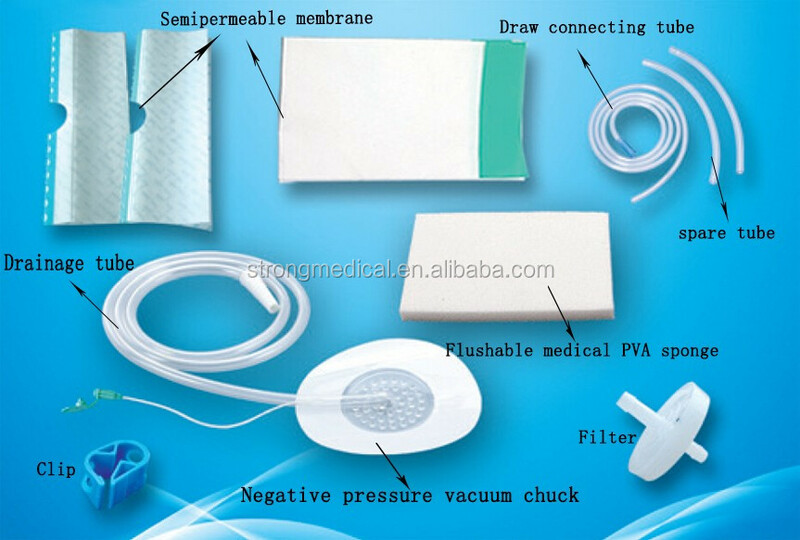 Maintain wound into humidity balance; Provide a good healing environment. 7. 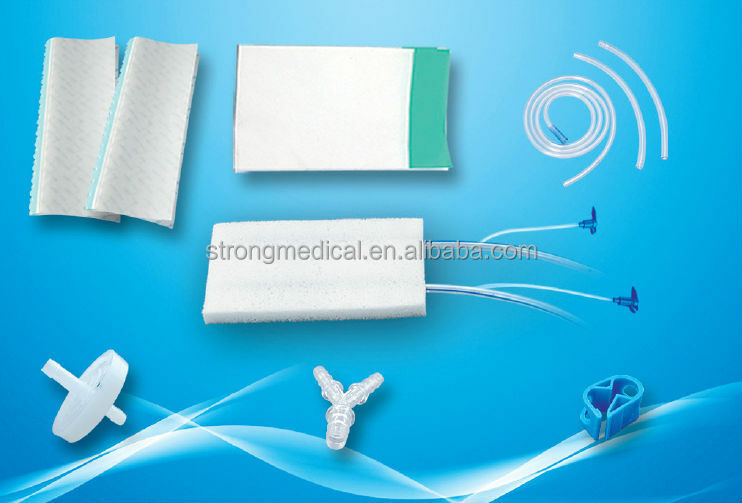 Reduce the time of dressing change; Shorten the time of treatment, and relieve pain. 8. Effective avoid crossing infection, pollution. - Technology Innovation / Quality and Efficient / Honest and Trustworthy / Customer First. - 24 hours service online. 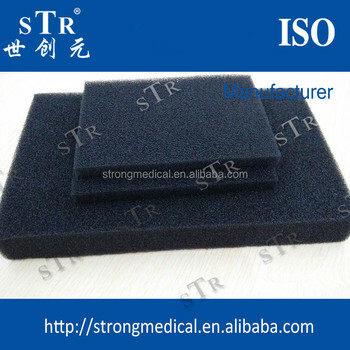 - CE, ISO certification are approved. - Trial orders are welcome. 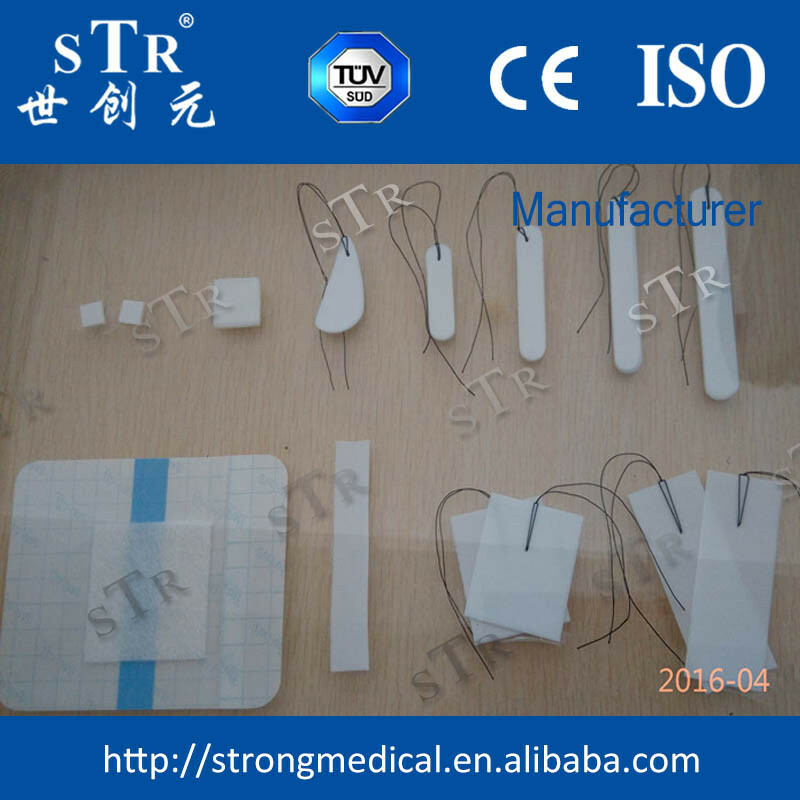 Weihai Strongmedical Sci.-Tech.Co.,Ltd has more than 10 years of experience in R&D, design and production; nationwide sales network. Facility: 100-thousand-grade purification workshop; physics, chemistry, biology and all performance testing laboratory; water purification workshop; and excellent management team. 1. - Q:Are you a factory or trading company? - A: We are a factory, we have rich experience for manufacturing more than 10 years. 2. - Q:Where is your factory located? 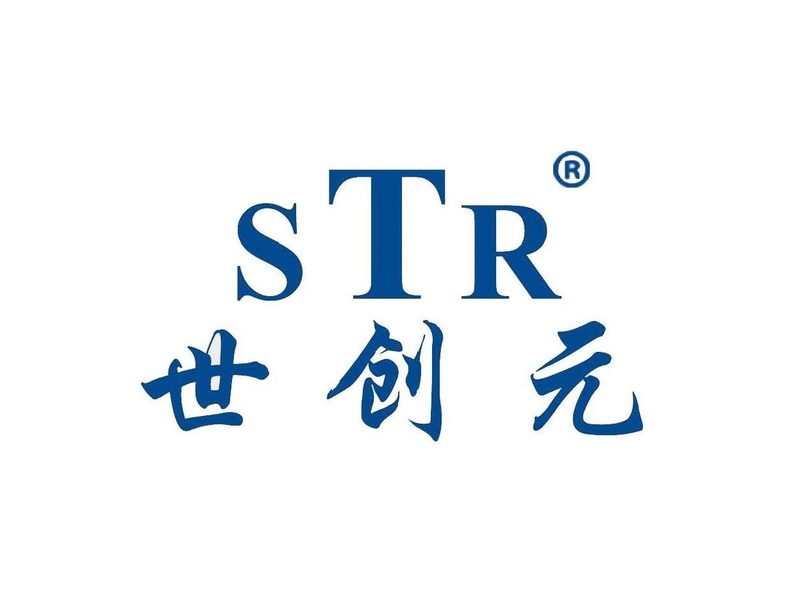 - A: Our factory is located in Weihai city,Shandong Province,China. 3. - Q:Can you provide OEM for us? - A: Yes, OEM is fine. 4. - Q:Can you send samples? - A: Yes, samples are available. 5. - Q:How does your factory do as quality control? - A: Quality is the lift of our factory. 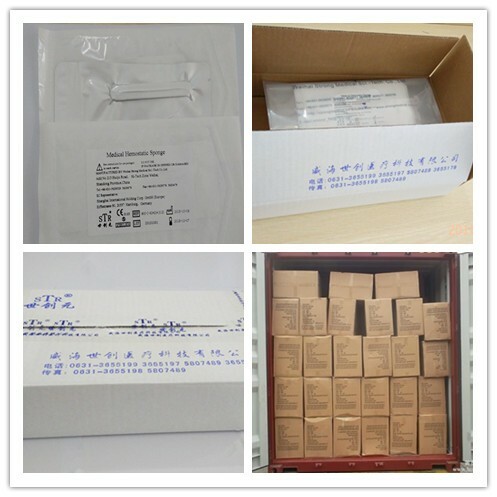 We have inspector in different post, and there are many inspectors before packing to get best quality products. 6. -Q: Which exhibition will you participate in this year? 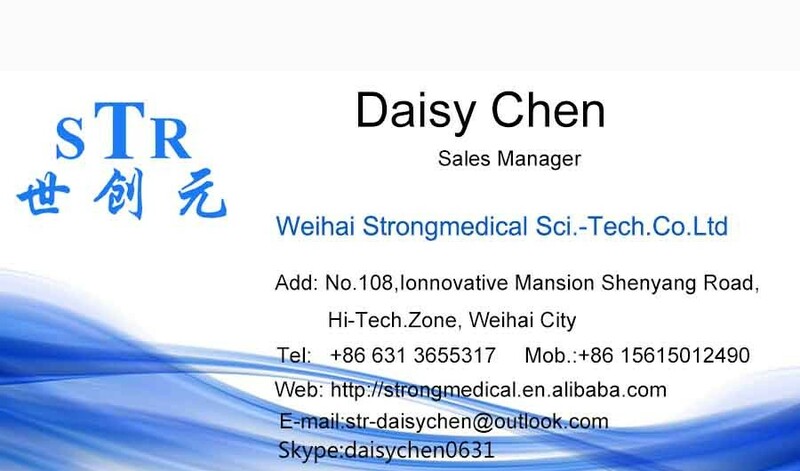 - A: We will participate in the China Canton Fair and CMEF in May, the Medica Exhibition in November. We will show our exhibition number after we get it, and hope to meet you there.